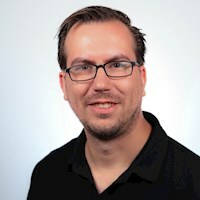 Henk Boelman works as an Azure Solutions Architect at Ordina in the Netherlands. He started out as a software developer in the late ’90s and later moved on to the role of architect. He now guides organisations in their cloud adventure, with a strong focus on cloud native software development. Henk believes that with the rise of new interfaces, easy and affordable artificial intelligence and massive compute power there is going to be a revolution in the digital landscape in unimaginable ways.